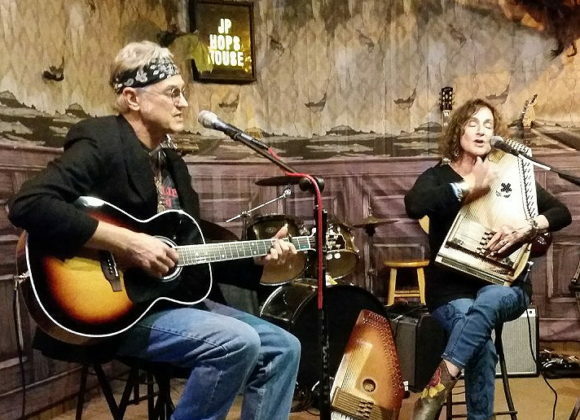 Together Woji & Kozloff feature sparkling autoharp & guitar interplay and improvisation with vocal harmonies straight from Appalachia to the Old West. With 10 recorded CDs between them, their performances showcase their extensive catalog of original songs as well as the occasional cover by artists ranging from The Carter Family, Greg Brown and Woody Guthrie to Butch Hancock, The Grateful Dead and David Gray. Since a chance meeting as performers at the 2013 Sarasota Folk Festival, the duo of Woji & Kozloff has been performing extensively over the last 5 years throughout Florida, Texas, the Gulf Coast and the Northeast U.S. Previous Event LinkDoug MacLeod, Bill Metts opens. Friday SHOWNext Event LinkEscaping Pavement with Ricky Baker and Jason Peters opening!